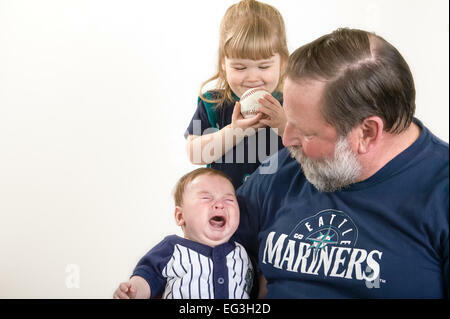 Father taking his 10-month-old baby to a nany. 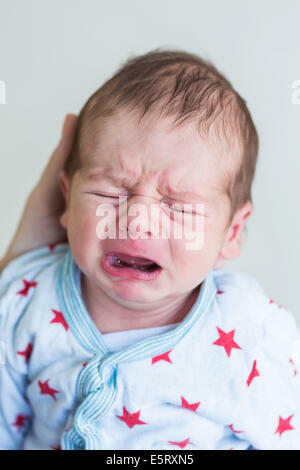 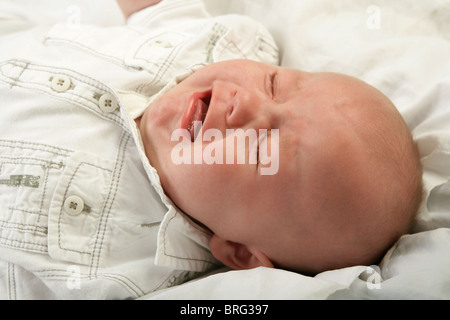 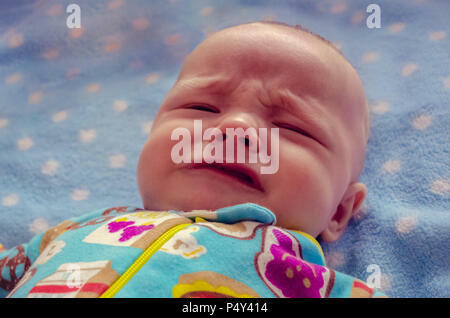 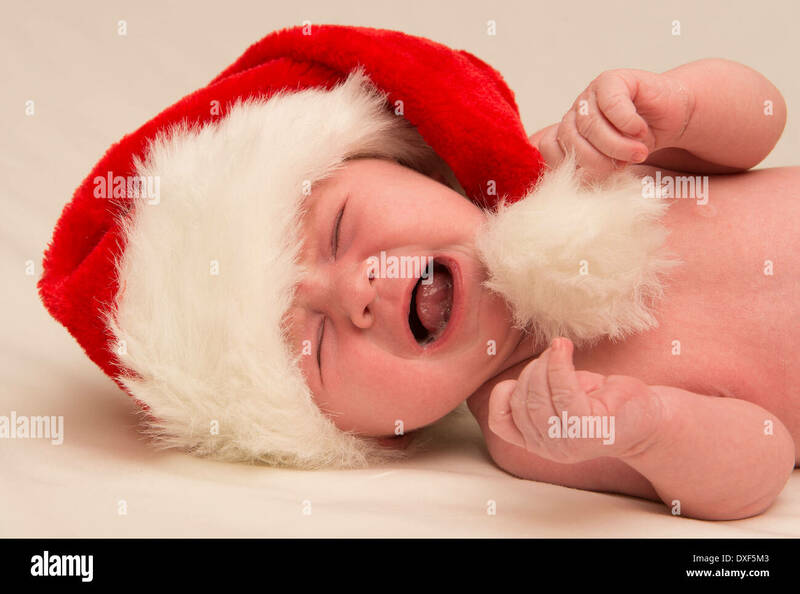 Three month old baby boy crying with his eyes closed. 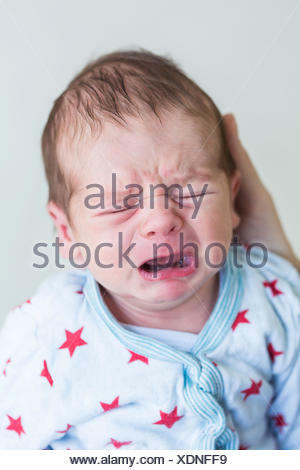 Three week old baby boy. 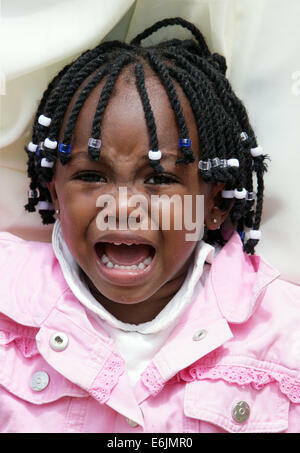 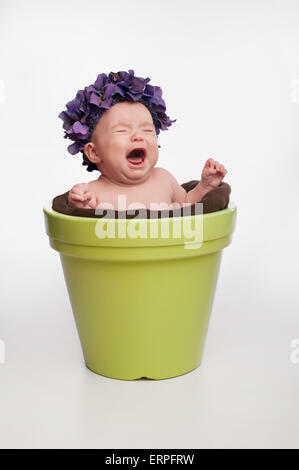 A crying 3 month old baby girl wearing a purple, hydrangea hat and sitting in a lime green flower pot.